Drinking Too Much? One-Third Of Americans Say Yes : Shots - Health News Lots of people say they're having trouble with alcohol. Native Americans and young, college-educated white men are most apt to be at risk. And most people don't get any help cutting back. 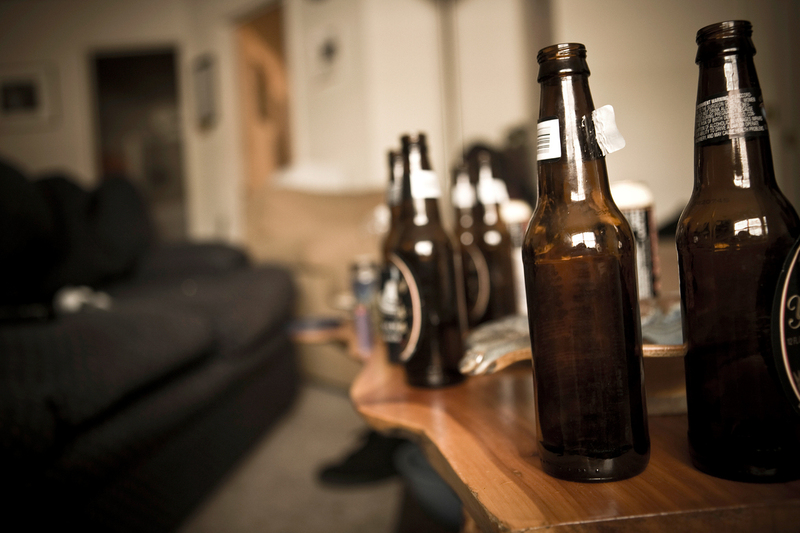 Young people say they're most likely to have serious drinking problems. Whatever you call it, it's a big problem. Almost 30 percent of Americans say they've had enough trouble with drinking to qualify at some point in their lives, according to a study from the National Institute on Alcohol Abuse and Alcoholism, published Wednesday in JAMA Psychiatry. That's 68 million people. Recurrent alcohol use resulting in a failure to fulfill major role obligations at work, school or home. Recurrent alcohol use in situations where it is physically hazardous. The big sample size makes it possible to slice the data based on race, age, income and other variables. Native Americans face the greatest risk overall, and men are still drinking more than women, with 36 percent of men reporting alcohol use disorder at some point in their lives, compared to 22.7 percent of women. Drinking problems were worst in the young, with 26.7 percent of young adults under 30 saying they'd had trouble in the past year, compared to 16 percent of 30- to 44-year-olds. Other studies have found that teenagers are starting to drink earlier and are drinking more heavily, which then carries over into young adults. Just 7.7 percent of people who had drinking problems in a year sought treatment or help, the study found. Twelve-step groups were the most likely sources, with 4.5 percent going there compared to 3.6 percent talking with health care practitioners.